Ross practices in the areas of personal injury and wrongful death, including complex vehicular collisions, defective products, and construction-site accidents. Ross grew up in northern Wisconsin and has made San Francisco his home for the past ten years. After receiving his B.A. from the University of San Francisco in 2010, he earned his Juris Doctor in 2013 from the University of San Francisco School of Law. While in law school, he served as a business editor, and later the index/survey editor for the USF Maritime Law Journal. He also traveled to Phnom Penh, Cambodia, where he worked with the Cambodian Ministry of Labor to implement labor migration and remittances best practices. 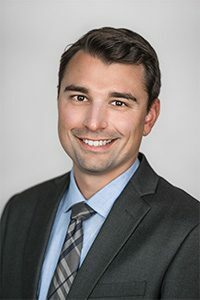 Ross dedicates his legal skills and passion to the service of others and is proud of the strong relationships and accountability he builds with his clients to achieve the best results. Before joining the firm in 2016, he represented tenants throughout the Bay Area facing wrongful evictions and tenant harassment from negligent landlords, where he gained formative civil litigation experience. Ross is currently a member of the Hellenic Law Society of Northern California, the San Francisco Trial Lawyers Association, and the San Francisco Bar Association. He also maintains his Merchant Marine License, and sails on Lake Superior every summer. Ross is an avid outdoorsman, and in his free time enjoys skiing, surfing, and hiking.